This revised edition is a comprehensive, authoritative set of essays. It is more detailed and analytical than the mainstream treatments of HRM. As in previous editions, Managing Human Resources analyses HRM, the study of work and employment, using an integrated multi-disciplinary approach. The starting point is a recognition that HRM practice and firm performance are influenced by a variety of institutional arrangements that extend beyond the firm. The consequences of HRM need to incorporate analysis of employees and other stakeholders as well as the implications for organizational performance. 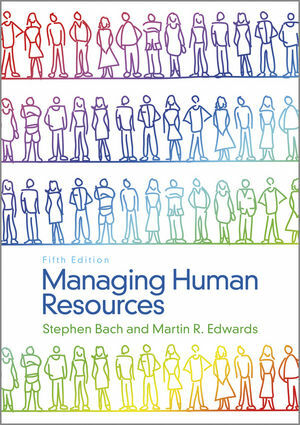 Stephen Bach and Martin Edwards are from the HRM group in the department of management. King’s College London, one of the largest concentrations of HRM specialists in the UK, which has in a relatively short-time become one of the leading centres of HRM research.